Grandstreet, Plot No. 2C Vaibhav Khand, Indirapuram Ghaziabad - 201012, U.P. 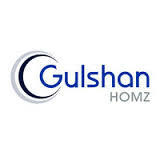 Gulshan Homz Pvt Ltd is a dynamic real estate organization engaged in the construction of high end projects. The enterprise, with more than 20 years of experience, has been striving to deliver luxury residential projects that boast of unmatched quality as well as expedient and ideally located commercial projects. Gulshan Homz has developed its projects at Ghaziabad and Noida, which are booming areas in the National Capital Region with an aim to thrive in the local real estate market. Calling faith, quality, professionalism, truthfulness and passion as the essence of their existence, Gulshan Homz has always adhered to these ethics with firm determination. Under the visionary guidance of their founder Mr. Gulshan Nagpal, the company has earned a number of accolades to its credit. Gulshan Homz in the recent past has been awarded with ‘The Most Promising Project 2014-15’, ‘The Best Luxury Premium Housing Developer’ and The Realty Plus Excellence Award in 2010, 2012 and 2013 along with many other awards. Their profound vision of becoming a leader in their product line by providing unparalleled real estate services to the community, the company has been working in the direction of achieving it. Gulshan Homz efficiently operates each project with a mission to excel through high quality, product innovation and cutting edge technology that will enable them create a niche for themselves in the competitive markets. Being a socially responsible corporate company, Gulshan Homz has taken up initiatives in promoting the welfare of women, child education and medical facilities for the underprivileged.